A few months ago, I bought some baby bubble bath that said “helps calm fussy babies for sleep.” Not that miss Jade is even fussy, but I figured it would be a nice “night-cap” in her bath to calm and help her sleep better (couldn’t we all use that?). It smelled deliciously like lavender, which makes sense because lavender is said to be a calming scent. However, after reading the ingredients (which I should have done before I bought it), I realized there was no lavender in it whatsoever. well, that’s nice. But what’s IN the fragrance? Jade has sensitive skin like her momma, so I didn’t want to keep using it. And, it didn’t really do much “calming,” either. I knew there had to be a more natural version of a bubble bath, so I did some research on bubbles. In my quest I learned that vegetable glycerin is used in many homemade bubble recipes. So, why not try it in bubble bath? Vegetable glycerin is also quite moisturizing for the skin, which is why many people with sensitive skin use glycerin soap. I played around with the recipe a bit, but I think it works quite well! AND, it smells good; with actual natural essential oils, instead of the mystery “fragrance” ingredient. Yay! 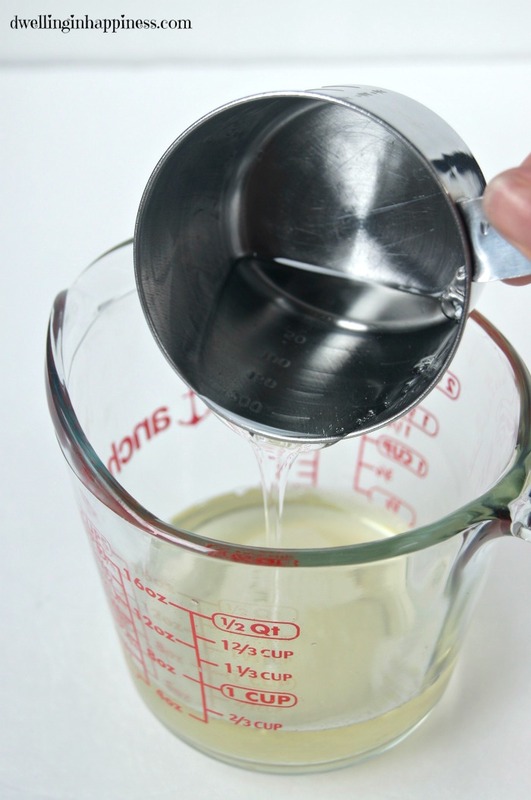 Measure out your castile soap, vegetable glycerin, and water. Mix into a container that is easy to pour. Add in your essential oil. For the “calming” part of this bubble bath, I used lavender essential oil. It’s known to be soothing, calming, and to promote relaxation. These are the perfect bubbles for a bath just before bed! 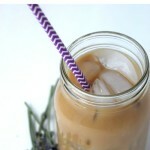 Lavender is also soothing to the skin; another bonus! Stir your ingredients well, and then slowly pour into a container. I reused an old baby soap bottle. NOTE: These are not the big fluffy bubbles you get with the store-bought bubble baths. 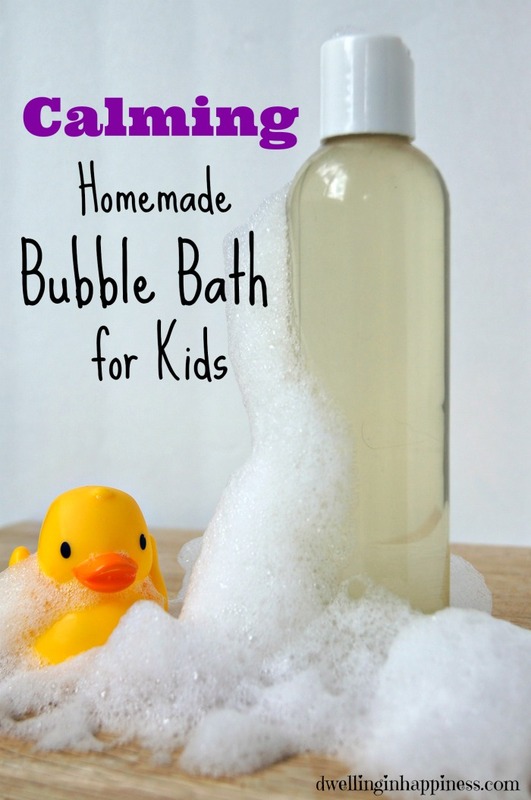 This recipe does not contain surfactants, which is a chemical in store-bought bubble bath to help create the bubbles. These chemicals can be toxic or pose a health risk. The bubbles in this recipe do not last as long, either. However, even when the bubbles are gone, your child will still benefit from the soothing lavender scent, as well as the moisturizing vegetable glycerin. ANOTHER NOTE: Dr. Bronner’s Unscented Baby Mild (as well as any other scented castile soap of theirs) is NOT tear-free. Be careful to not get these bubbles in their eyes! 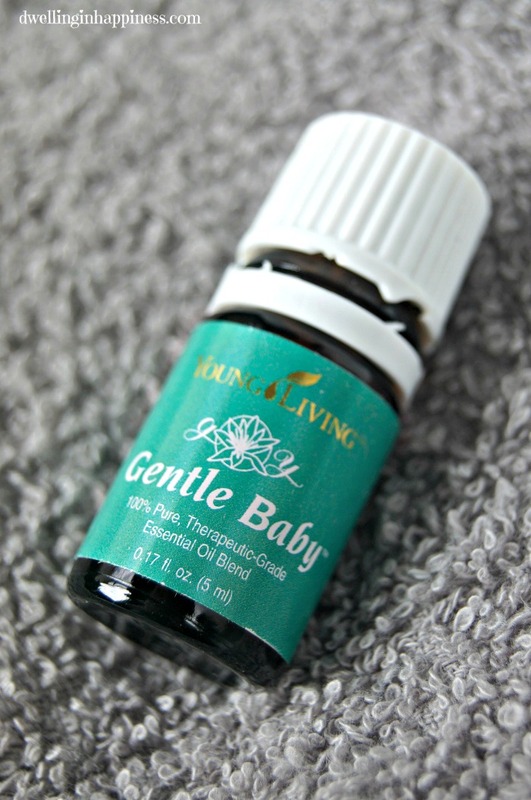 Another essential oil I like to use in this bubble bath is the gentle baby blend. It was designed specifically for babies (and pregnant women), to help calm and comfort them. It’s also really great and soothing for chapped skin, so if your child has sensitive skin, this blend would be the perfect addition! Looking to get your family healthy? 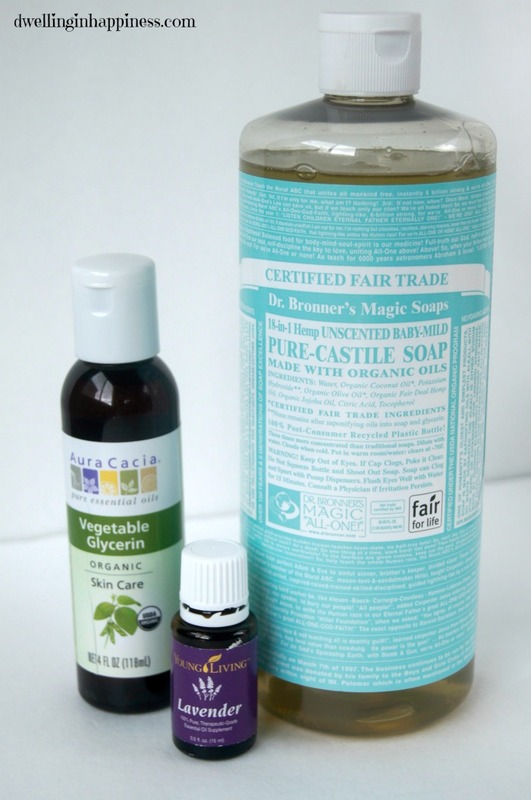 Want to get rid of harsh and toxic chemicals in your home and beauty products? 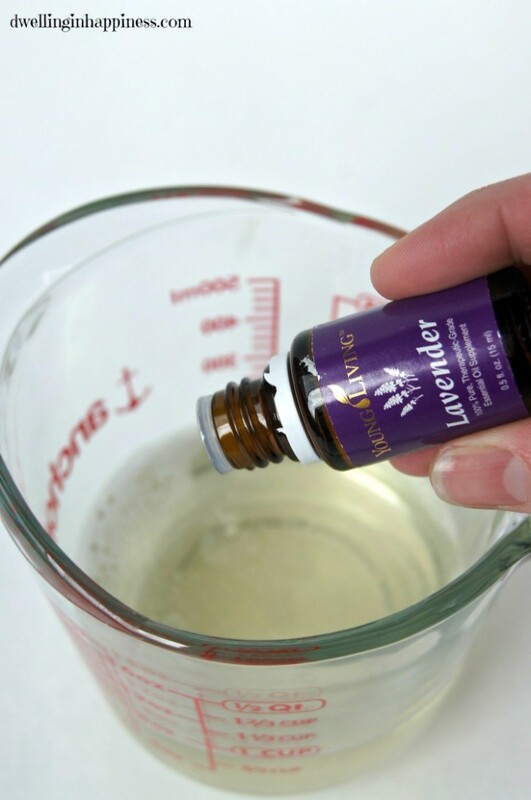 My family and I have slowly been replacing a lot of our store-bought cleaners and beauty products with homemade items using essential oils. You can also get them at wholesale prices and save money, while reaping their fabulous health benefits! Find out how to join our community HERE! 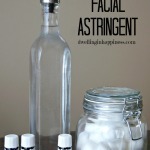 Do you make your own beauty products? What’s your favorite product to make? 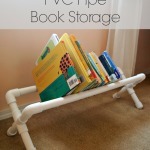 My kids could definitely use this! I have all but the vegetable glycerin, looks like I need to make a trip to the store! 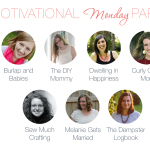 Amanda recently posted…How to Make a Sick Kit PLUS a FREE printable Medicine Chart! Yay! I think they’d love it! And it totally smells sooo good. 🙂 Hope you have a great weekend! Hi Amanda, I just wanted to let you know that you are one of my nominees for the Very Inspiring Blogger Award that was recently passed on to me! https://fromevijawithlove.wordpress.com/2015/04/12/very-inspiring-blogger-award/ I love your work !! Thanks for sharing! I am pinning away DIY recipes for household goods to make over the summer, so I’m saving this one. Thanks so much, Jenny! I appreciate the pin! 🙂 Have a great rest of the week! This is perfect! I’ve been on the hunt for a good bubble bath recipe for my daughter. Thanks for sharing. Hey Amanda! Love this super creative bubble bath! We know a couple of adults that this could work for as well 🙂 Pining this now! Great recipe, thanks for sharing, and including where to find your ingredients. I’m just getting started with EOs, but my son is already benefitting a lot! Bath-time is kind of a struggle right now, so hopefully some nice calming bubbles will help. Thanks Danielle! EO’s are SO fabulous, and have really helped our sensitive skin, too! Our bath time struggle is AFTER the bath. 😉 I hope this helps! I agree with Amy! There is something about having a baby that has made us pay so much more attention to what we put on our bodies and what we use in our house. I love this! We will for sure be giving this a try in our house! Love this recipe for homemade bubbles! Those super inexpensive big bottles of bubble bath seem to irritate my kids skin so this would be great because baths are apparently always better with bubbles. Thanks! Thank you, Kristen! I hear ya, my daughter has sensitive skin too, and I just hate using that stuff. And baths are definitely always better with bubbles. 🙂 Thanks for checking it out! Thanks Kendra! Man, it’s amazing how much I read labels now that I have Jade! I just worry about her sweet sensitive skin. Oooh peppermint would be SO nice in this, too! Great idea! 🙂 Have a fab week! I so love using lavender at bathtime. Thanks for posting. Hello from Think and Make Thursday. This sounds wonderful. I also have sensitive skin. Perhaps I will work up some of this to use in a nice warm bath. I have to comment on the big misconception that essential oils are safer than fragrance oils. I make and sell soap and body products and use both. Essential oils have warnings to never use full strength (which I know you didn’t) and not to be used on pregnant women or those who have seizures. Please Google dangers of essential oils. Just sayin. Thanks for the info, Karen! I agree, it’s SUPER important to dilute essential oils, especially on children. While they worked fabulously, it is important to do your research. Hope you’re having a great weekend! 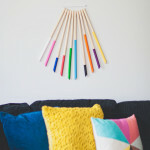 What a fun idea to gift to a new mom, or any family with small children. Thank you, Alexandra! It’s definitely a great gift idea! It is so shocking what is in baby products – we assume that they are all natural and safe but even the biggest brands aren’t necessarily. 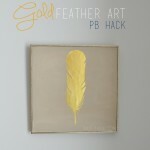 I love the idea of making your own, then you know for sure exactly what is in it. I’m definitely pinning this for the future. I do have one question though, what is the shelf life once it is made? Absolutely, it was scary to me reading through the ingredients on my store-bought bubbles. SO many chemicals that don’t need to be touching my baby’s skin! For awhile we just stopped using bubbles altogether, but I didn’t want to deprive my baby of fun bubbles, so this recipe was born. To be honest, I’m not sure the shelf life of this recipe. We went through ours really quickly, probably in two weeks!! They aren’t crazy bubbly, so we found we used more. I just tried this tonight… I didn’t get any bubbles at all! I’m very disappointed, I followed the recipe. Do you have a special trick? Oh no, Kate!! I’m so sorry! I’ve tried playing with the recipe a bit too, and I think adding just a tad more of the vegetable glycerin helps (as well as adding more of the solution to the bath water). I’ll keep playing with the recipe and see if I can find a better way of getting more bubbles! Thanks for letting me know! It’s not that, it’s your water — and possibly also the amount of water you fill the bath with. The amount of soap has to be more than the total amount of “hardness” (calcium & magnesium) in the water, or no bubbles. Presumably you have less of it than the people who are getting no bubbles. Thanks for the info, I didn’t know that! These soap-based bubble bath recipes have gotten around a lot, but unless your water is soft, the amount you’d need to make bubbles in a tubful of water will be somewhere between large and huge. 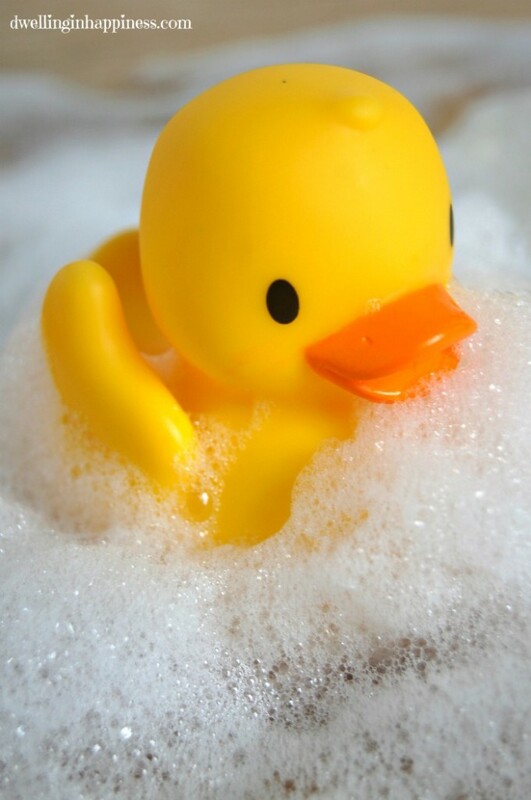 If when you take a bath you notice soap lather turns into curds instead of remaining bubbly when you rinse it off, you can expect the same to occur if you put soap in the water at the beginning of the bath. And if you do add enough soap to soften the whole tubful of water completely (and thus make suds), you’ll have very soapy water that’s rather degreasing to skin. Oh, and soap IS a surfactant. You CAN make your own bubble bath that’s practical in hard water, but it’s got to be based on surfactants other than soap. See my Web site for my success doing so. Does the water have to be distilled?? I just made my first batch today. We will see how little one likes it tomorrow! Tried this today but failed to read the end of your blog…. I got zero bubbles and dumped bath water right over my kids heads burning their eyes. Mom fail. Love your recipe of bubble bath. My kid loves it too. I used Lemon for fragrance. Thank you for sharing.